Isn’t it strange that the things we like to do seem to be difficult to start? 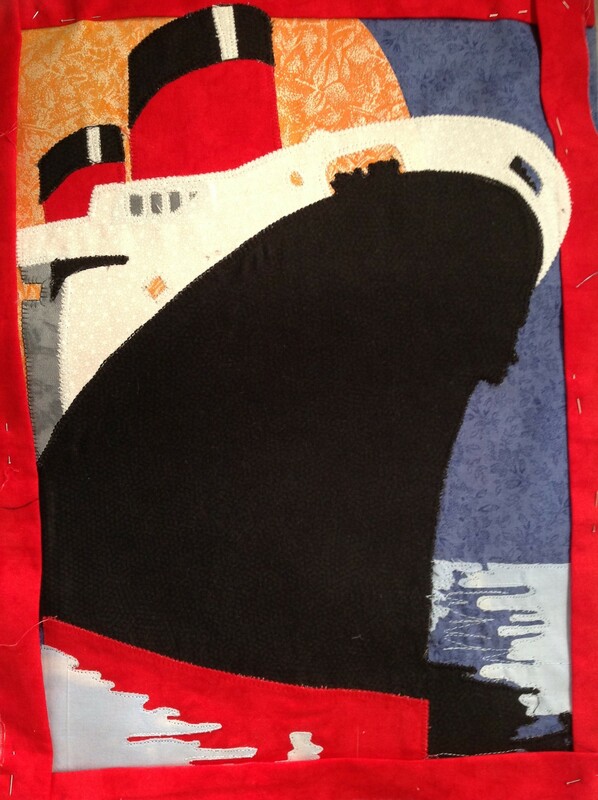 When I am sewing I am quite happy but there are always other things to do and sometimes I seem to fiddle around until it’s almost too late to start. The past two days have been a classic example of this. I have been hoping for a free weekend for a month now and when I finally have one I managed to find all manner of tasks to do rather than sitting down for a weekend of quilting – and I have two projects ‘on the go’ so there is no excuse. But no Poz E Dogg had a bath, shopping was done, a new book was read from cover to cover. Only a meagre amount of sewing was achieved and now the weekend is over and it went so quickly. Reminds me of ‘The Church’ song ‘Life Speeds Up’. That’s for sure! Do you ever have trouble getting started on something you actually enjoy? 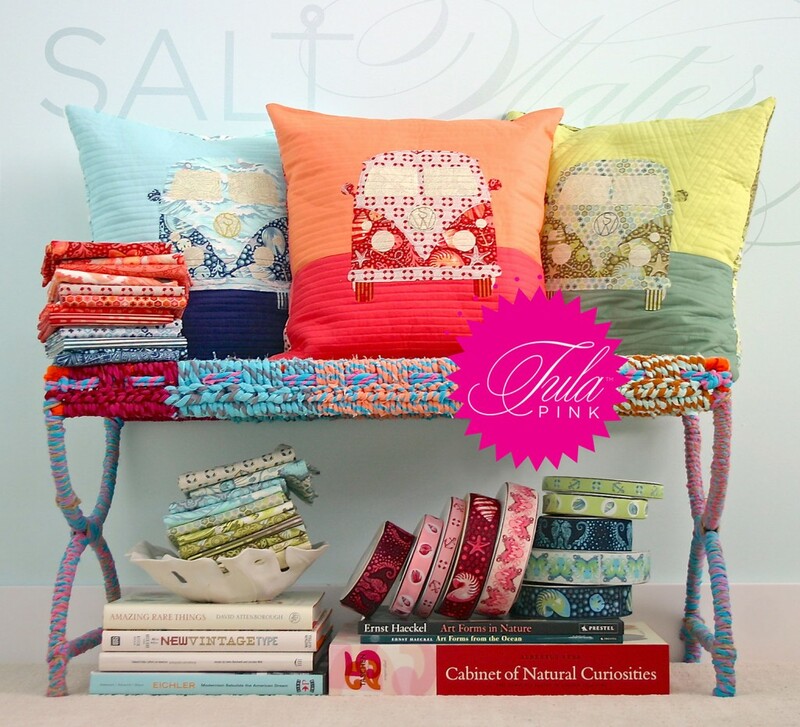 The other new thing this week was the fabric range ‘Salt Water’ by Tula Pink. 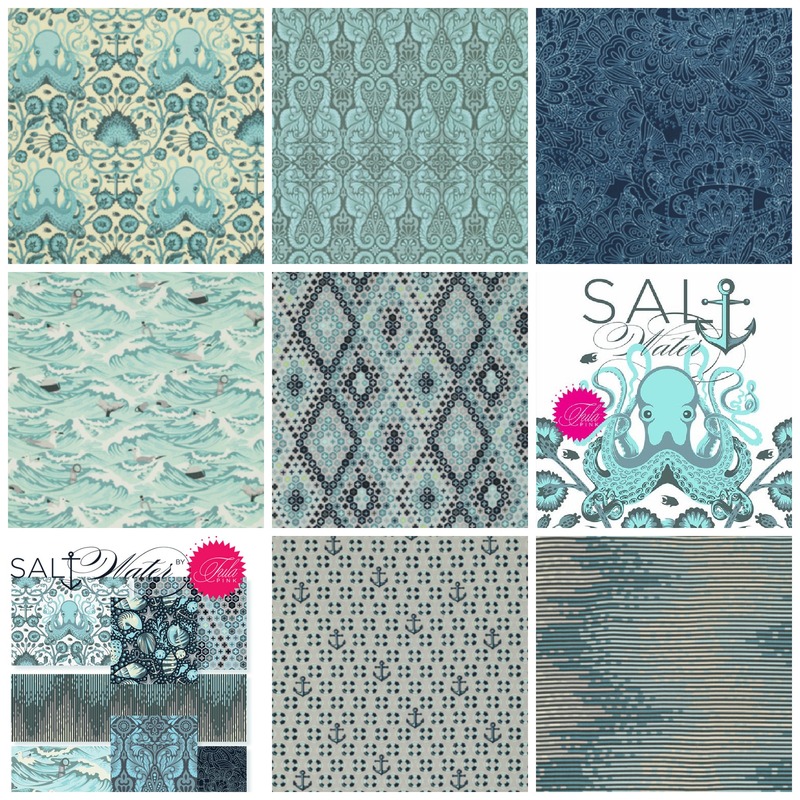 I am really taken by this range – especially the aqua colour theme. 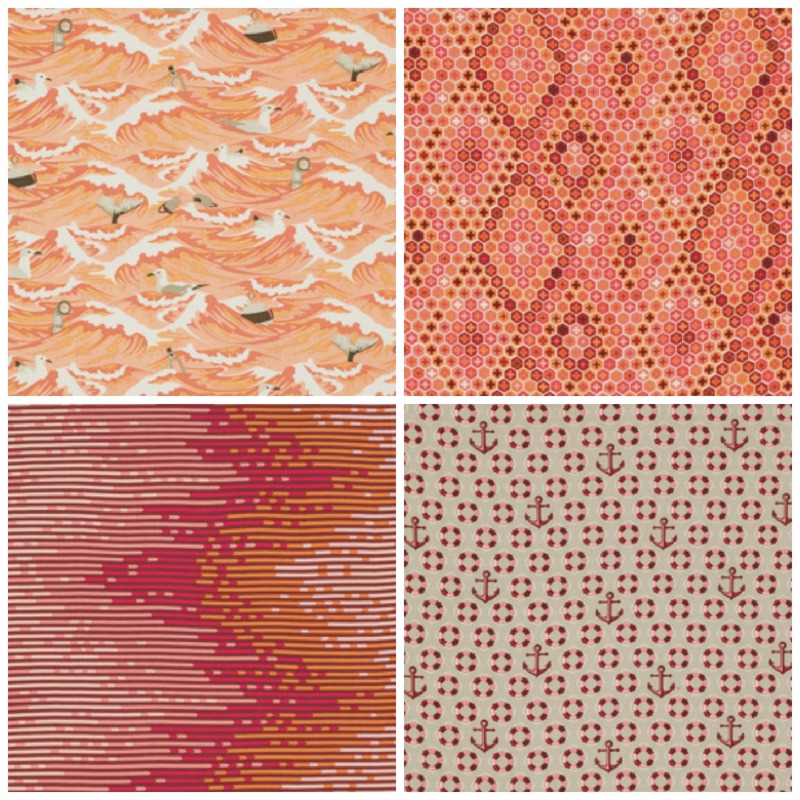 As usual the suppliers do not have the full range to send me but the fabrics above are in stock. They are sufficient to make one of the great cushions in the free pattern. This pattern features combi van cushions (Remember the 60’s?) Definitely have to have one of those. Have a look here for the pattern. Finally some other ‘new’ news – the lovely Nicole who has been with us on Wednesday evenings (and has the pink and grey sampler quilt in the gallery) has a new baby girl called Isla Rose and weighing in at only 6lb so quite a small bundle. It’s wonderful to have such good news and we all wish Nicola and her family the best. No photo yet but stay tuned.